Soil salinization has become a worldwide problem. Saline-alkali landofChinais characterized by extensive distribution and large area. Moreover, the degree of soil salinization is becoming more serious in cultivated land. As the population of China increases and cultivated land is degraded, to improve and utilize saline-alkali land reasonably is of great significance and importance. This paper summarizes the application, effect and the advantage and disadvantage of techniques in improving saline-alkali land, including water conservancy measures, physical measures, chemical measures and biological measures. Biological measure is discussed in detail and considered as the most economical and effective way to improve saline-alkali land. In the future, comprehensive strategy which integrates water conservancy measures, physical measures, chemical measures and biological measures, and adjusts these measures to local conditions should be used to improve and utilize saline-alkali land. 丁海荣, 洪立洲, 杨智青, 等 (2008) 盐生植物碱蓬及其研究进展. 江西农业学报, 8, 35-37, 40. 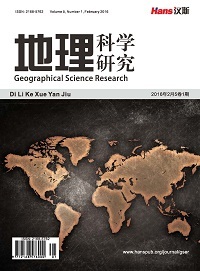 王佳丽, 黄贤金, 钟太洋, 等 (2011) 盐碱地可持续利用研究综述. 地理学报, 5, 673-684. 周和平, 张立新, 禹锋, 等 (2007) 我国盐碱地改良技术综述及展望. 现代农业科技, 11, 159-161, 164. Doran, J.C. and Turnbull, J.W. (1997) Australian trees and shrubs: Species for land rehabilitation and farm planting in the tropics. Australian Centre for International Agricultural Research, Canberra. 马晨, 马履一, 刘太祥, 等 (2010) 盐碱地改良利用技术研究进展. 世界林业研究, 2, 28-32. 王春娜, 宫伟光 (2004) 盐碱地改良的研究进展. 防护林科技, 5, 38-41. 牛东玲, 王启基 (2002) 盐碱地治理研究进展. 土壤通报, 6, 449-455. 张建锋, 张旭东, 周金星, 等 (2005) 世界盐碱地资源及其改良利用的基本措施. 水土保持研究, 6, 32-34, 111. 郝秀珍, 周东美 (2003) 沸石在土壤改良中的应用研究进展. 土壤, 2, 103-106. 刘阳春, 何文寿, 何进智, 等 (2007) 盐碱地改良利用研究进展. 农业科学研究, 2, 68-71. 陈敏, 王宝山 (2000) 覆麦秸对盐碱地小麦生长及产量的效应. 山东师大学报(自然科学版), 3, 307-310. 荆学民, 杨洪兵, 王宝山 (2001) 滨海盐碱地冬小麦覆膜栽培技术的研究. 山东科学, 1, 11-14. 杨洪兵, 荆学民, 邱念伟, 等 (2001) 麦业丰对滨海盐碱地覆膜冬小麦生长及产量的效应. 山东农业科学, 1, 29-30. 俞仁培, 杨道平 (1984) 土壤碱化及其防治. 土壤, 5, 163-170. 王立志, 陈明昌, 张强, 等 (2011) 脱硫石膏及改良盐碱地效果研究. 中国农学通报, 20, 241-245. 崔志祥, 董进亚 (1995) 磷石膏改良河套地区碱化土的效果. 土壤, 4, 216-218. 车顺升, 罗三强 (2000) 磷石膏改良盐碱地土壤化学性质的效果. 陕西农业科学, 9, 16-18. 李焕珍, 张玉龙 (1999) 脱硫石膏改良强度苏打盐渍土效果的研究. 生态学杂志, 1, 25-29. 陈义群, 董元华 (2008) 土壤改良剂的研究与应用进展. 生态环境, 3, 1282-1289. 刘建红 (2008) 盐碱地开发治理研究进展. 山西农业科学, 12, 51-53. 赵可夫, 李法曾 (1999) 中国的盐生植物. 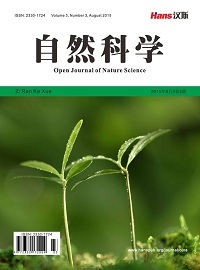 植物学通报, 3, 201-207. 钦佩 (2002) 我国海滨盐土可持续发展的模式研究. 中国科协2002年学术年会, 中国科学技术出版社, 成都, 147-152. 聂肇正, 刘玉新, 翁森红 (2005) 东营盐生植物园的前景展望. 内蒙古科技与经济, 9, 43-45. 邵秋玲, 谢小丁, 徐化凌, 等 (2011) 东营盐生植物园在黄河三角洲高效生态建设中的作用. 湖北农业科学, 22, 4649-4652. 谢小丁, 刘玉新, 徐化凌, 等 (2009) 唐古特白刺在黄河三角洲滨海盐碱地的引种. 湖北农业科学, 9, 2114-2117. 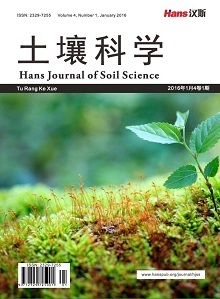 于德花, 常尚连, 徐化凌, 等 (2009) 黄河三角洲滩涂耐重盐植物的筛选实验. 河北大学学报(自然科学版), 6, 640-646. 张新果, 陈显扬, 姜丹, 等 (2008) 耐盐药蒲公英(taraxacum officinale weber)愈伤组织筛选及生理生化特性分析. 生物工程学报, 7, 1202-1209. 张新果, 李银心, 陈华, 等 (2008) 药蒲公英(taraxacum officinale weber)耐1.5% NaCl变异体的筛选及特性分析. 生物工程学报, 2, 262-271. 骆江兰 (2008) 海水蔬菜无土栽培实用新型技术. 农家之友(理论版), 5, 30-31. 骆江兰, 刘汉才, 周祥 (2008) 海芦笋盐碱地栽培技术. 农家之友(理论版), 7, 34-35. 于德花 (2010) 黄河三角洲盐渍土二色补血草栽培技术. 中国种业, 1, 73-74. 周祥, 骆江兰 (2008) 叶用菾菜海水化有机栽培技术. 现代农业科技, 3, 28-29. 周祥, 骆江兰, 蔡金龙, 等 (2008) 海芦笋的高效栽培技术. 长江蔬菜, 2, 27-28. 周祥, 骆江兰, 刘汉才 (2007) 菊苣海水化无土栽培技术. 现代农业科技, 20, 21, 23. 徐姗楠, 陈作志, 黄洪辉, 等 (2010) 红树林种植–养殖耦合系统中尼罗罗非鱼的食源分析. 中山大学学报(自然科学版), 1, 101-106. 徐姗楠, 陈作志, 黄小平, 等 (2010) 底栖动物对红树林生态系统的影响及生态学意义. 生态学杂志, 4, 812-820. 徐姗楠, 李纯厚, 李适宇 (2010) 红树林种植–养殖耦合系统的养殖生态容量. 中国水产科学, 17, 393-403. 林永青, 吴佳鑫, 郑新庆, 等 (2011) 浮床栽培海马齿对海水中悬浮颗粒物清除作用的实验研究. 厦门大学学报(自然科学版), 5, 909-914. 张志英, 黄凌风, 姜丹, 等 (2009) 浮床种植海马齿对富营养化海水氮、磷移除能力的初步研究. 中国环境科学学会2009年学术年会, 中国环境科学出版社, 武汉, 50-55. 赵可夫, 范海, 江行玉, 等 (2002) 盐生植物在盐渍土壤改良中的作用. 应用与环境生物学报, 1, 31-35. Blair, J.M., Bohlen, P.J. and Freckman, D.W. (1996) Soil invertebrates as indicators of soil quality. In: Methods for Assessing Soil Quality 1996 (Methods for Asses), Soil Science Society of America, Madison, 273-291. 付颖, 谢桐音, 谢桂林, 等 (2012) 三种不同盐生植物下土壤动物群落研究. 东北农业大学学报, 12, 139-144.